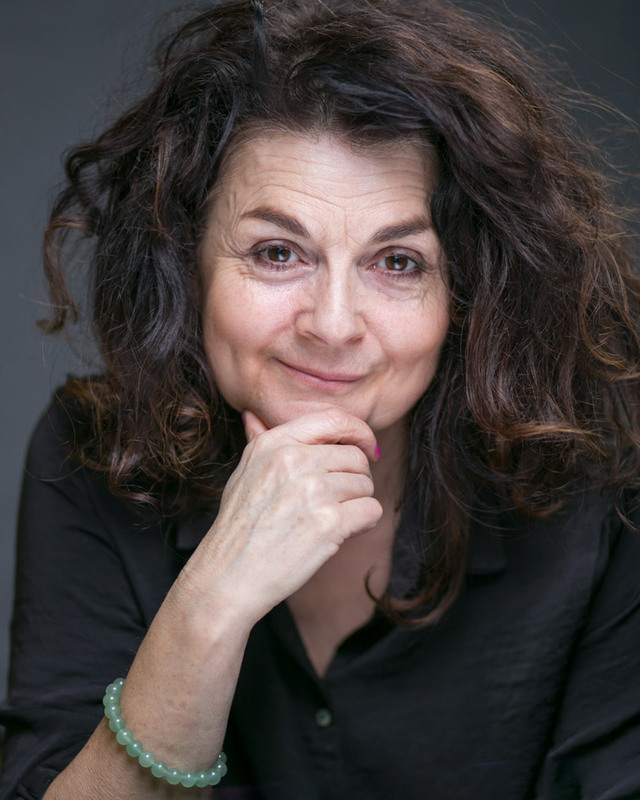 Born and raised in Dublin, Pom Boyd is a highly experienced actor and performer known for her natural comic ability as much as for her powerful theatre performances. On returning to Dublin she played the lead opposite Sean Hughes in the film SNAKES AND LADDERS directed by independent film director Trish McAdam and went on to play Emily at the Bush Theatre, London, in Rough Magic’s hit play of the 1990’s DIGGING FOR FIRE. During that time she was also performing extensively on the comedy scene and her one woman comedy show THAT MAD ONE WITH THE HAIR was a Dublin Theatre Festival hit and went on to play The Edinburgh Fringe and the Shaw Theatre in London. In the early noughties Pom took a break from acting to focus on her writing work. She has since written and co-produced (with Abbey Theatre), her highly acclaimed show, SHAME. She is currently in IT WAS EASY (IN THE END) again at The Abbey. Other recent credits, since she has returned to the stage were THE SHITSTORM (at The Peacock Theatre, DFF 2017) and the highly acclaimed, biting satire THIS BEACH with Brokentalkers. She also played Rosie’s mother in ROSIE (Element Pictures) and will soon appear in Mark O’halloran’s feature RIALTO, alongside Tom Vaughn Lawlor.